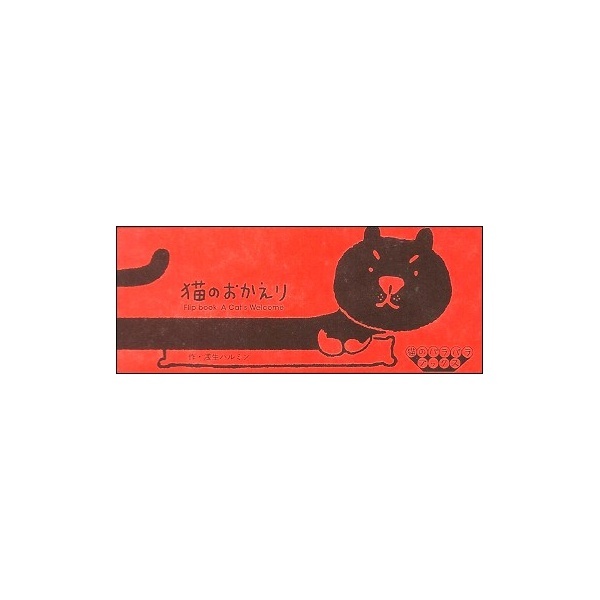 Slide the flipbook out of its case, and this delightful black cat will will come to make you a hug! “Not home yet? Not home yet?” thinks a cat waiting eagerly at home for its master to return. 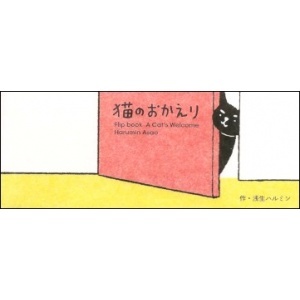 The sight of the cat running straight toward you at the sound of the door opening is so cute! 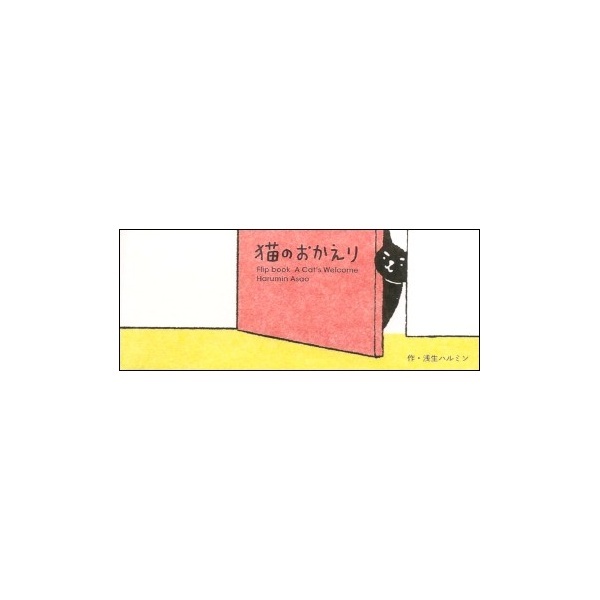 The illustration on the book’s cover case of a cat with a long neck visually represents the Japanese expression “to wait with neck outstretched.” This cute cat is eagerly awaiting your return.